ISO 9001 is the international standard for quality management. With the most recent update in 2015 – commonly referred to as ISO 9001:2015 – this internationally recognised standard governs Quality Management Systems (QMS). QMSs are a collection of policies, processes, documented procedures, and records defining the set of internal rules that govern how a company creates and delivers products and services; ISO 9001 ensures that these elements, and ultimately the operations of the business, are under consistent and strict control so products and services meet a certain level of quality. In the presence of an increasingly competitive global marketplace, the latest update to ISO 9001 is designed to be compatible with other management systems such as ISO 14001 and OHSAS 18001. ISO 9001 applies to businesses in any industry and of any size. According to the International Organisation for Standardisation (ISO), there are over one million companies in over 170 countries which are currently certified to ISO 9001. The point of ISO 9001 is to enable organisations to implement a robust quality management system that allows an orgad deliver services that meets and exceeds customer expectations. Since ISO 9001:2008 was released, a lot has changed in the business world. Globalisation, technology progress, powerful and knowledgeable customers, more complex supply chains, increasing the number of risks and opportunities and an increase in service-based organisations are just some of the new challenges and organisations need a Quality Management System that can adapt and respond to the changing business environment. In 2015, ISO 9001 released its latest update as an answer to these new challenges, and now, ISO 9001:2015 continues to guide organisations in the current marketplace. Major changes in this version respond to all the concerns people have regarding ISO 9001. For organisations that haven't transitioned their Quality Management System from the 2008 version of the standard, read about three steps to transition. When you implement a QMS in your organisation, you have taken a big step toward achieving your objectives and meeting your customer needs. However, the decision of certification to ISO 9001:2015, could take your organisation to the next level and open a door to new opportunities. The ISO 9001 ensures your business is operating in line with the best practices in its industry. Compliant businesses use the latest technologies and processes. This means your work is more productive and efficient, ensuring your business is always staying ahead of the competition. During the implementation of QMS, you do your best to meet all the requirements of ISO 9001, a third party audition could recheck everything for you to make sure there aren’t any nonconformities in the system. At this stage, you may even find new opportunities for improvement. The formal recognition of your quality management processes will also improve the relationship with your external stakeholders. Furthermore, it increases the chance of creating profitable international partnerships. Potential clients have confidence in businesses that have attained compliance certification. Furthermore, as more and more Australian businesses are becoming compliant with ISO 9001, potential clients aren’t settling for less. ISO 9001:2015 certification demonstrates your commitment to quality management, your expertise in the area, and your reliability in delivering a quality service. These are what you need to stand out and attract more customers. For many small businesses, implementing a QMS and certification to ISO 9001 is a big decision. However, ISO 9001 provides small businesses with as many benefits as it does for big enterprises. Being less complicated and more flexible are two critical benefits that small businesses have over the big ones, and if they use ISO 9001 correctly, it will have a significant influence on the annual revenue and even make a difference between success and failure. For small business managers, particularly those in consulting and service, there is a lot to do on a daily basis. In addition to their expertise, managers should deal with so many things, such as finance, marketing, and relationships. All these day-to-day distractions make managers more focused on short-term activities, and as a result, they are usually unwilling to spend resources to a long-term process. Lack of a long-term strategic plan is a threat to any small business. Managers need to step out of their routines and think about how they can improve their process, in the way that it requires less effort on their part so they can focus on more strategic aspects of their business. ISO 9001:2015 can guide small businesses to implement a quality system that facilitates the way they can meet and exceed their customer needs. How ISO 9001:2015 can help with this challenge? Implementing QMS requires businesses to fully understand their context, objectives and how to get where they want to go. From there, it will be clear why and where the new employees are needed; also gives those great talents the opportunity to see the vision of the organisation and makes them passionate about being a part of it. Uncertainty could hit a small business any time. Changes in suppliers, employees, customers, and economy are only some reasons of uncertainty, and there are so many other things that might go wrong. The best thing to do is equip yourself with the right tools beforehand. ISO 9001:2015 could be what a small business needs under a changing environment. The emphasis on interested parties and organisational context arms small businesses with all they need to know about the elements that have an impact on their outcomes. Besides, risk-based thinking reveals different threats and opportunities, so small businesses have enough time to manage them effectively. Business owners thrive to earn profit to stay alive, but it’s not always clear which path leads to profitability. It’s not enough to have the instruments, technology or a team; it takes something more than that. You as a business owner should be able to implement a quality management system that results in consistent excellence. However, you might be concerned whether ISO 9001:2015 is the right decision for you or not. Here, we explain how recent changes in ISO 9001 have responded to myths about ISO 9001. Top management shapes the strategic directions, sets goals and communicates them within the organization. QMS cannot fully integrate into the organisation’s strategic approach unless top management is committed to it. When top management supports the QMS implementations, employees become motivated to engage in the process and feel more responsible. ISO 9001:2015, demands top management involvement to make sure organisations benefit from QMS results, including efficiency and customer satisfaction. Context of the organization is a new concept introduced in ISO 9001:2015. It includes all the internal and external factors that influence an organisation’s final product or service. These factors make an organization unique in its own way. With a complete understanding of its context, an organization can implement the QMS in the way that is adapted to its specific needs and requirements. Easy access to information and a wide range of alternative options have changed the way customers think and behave. They are looking to pay less and receive more value in return. Most of the time, customers make their decisions about a product or service before even getting in touch with organisations. So you realise the fact that keeping customers satisfied might not be enough, you need to exceed their satisfaction. ISO 9001:2015 is perfectly aware of this fact and pays more attention to customer satisfaction and ways to achieve it; the results directly influence the business profit. Risk-based thinking has always been in QMS implicitly, but now it’s more explicit. In the latest update, risk is seen as a preventive measure in the whole process rather than something that comes at the end. The concept of risk can be a little confusing, and to avoid that, it’s better to see risk as all the things that could go wrong at any stage of QMS and what you can do about it. Addressing risks helps organizations to prevent negative outcomes and be more proactive. By determining risks at any stage, you can identify what elements or what parts of the process has more impact on your final results and then you can spend more time and resources to those parts. There is no formal requirement to show how you are addressing risk in your organization but doing so enables you to find and control deviations in your system in advance. The importance of organisational context and rise of the new technologies result in a flexible approach toward documentation. ISO 9001:2015 gives organisations the freedom to decide what amount of documentation they need based on their specific organisational context; also how they want to present those documents. Documentation can be in so many ways other than the traditional form. Organisations can use web pages, videos, audio or any other form that is convenient for them. This way, the whole process becomes both simple and compatible with particular situations of any business. Why ISO 9001 fails in an organisation? Certification to ISO 9001 might not always result in efficiency and customer satisfaction, but why is that? There are some reasons that could explain it, and here, we outline three main reasons that lead to ISO 9001 failure. ISO 9001:2015 asks for a significant amount of involvement from the top management. When the top management doesn’t participate, QMS could turn into one of those side projects that only results in extra work and cost for the organisation and no one benefits from it. Employees are the biggest asset of any organization, and without them, nothing gets done. They need to be involved in critical organisational processes such as QMS. Top management should communicate the QMS objectives with all the employees. This way quality becomes everyone’s responsibility, and everyone has a specific part to do. If this is not how organisations see the connection between people working for them and the QMS, the implementation of QMS won’t bring any good to it. On the one hand, using a generic solution comes from a simplistic look at QMS. You see ISO 9001:2015 as a certificate or another check in the box, something that needs to be done once and then there is no other use for it. On the other hand, organisations use generic solutions because they have inadequate knowledge of ISO 9001:2015 and its requirements. The new edition of ISO 9001 clearly states that knowing the context of the organisation is essential. Meaning, QMS should be adjusted to the unique needs and features of any organisation. Either way, using generic solutions never works. To have a successful QMS, having enough knowledge of ISO 9001:2015 and its requirements is essential. It should be a strategic decision that comes from top management and involves all people in the organisation that could influence the implementation of QMS. Seven quality management principles are the foundation of ISO 9001 and following these principles help organisations build constant value for their customers. These are the backbone of ISO 9001 and understanding these principles smooths the path to QMS. The priority of principles depends on each organisation and can change from time to time. More often, organisations fail to see different departments or activities as interdependent processes; each part of the organisation does its job separately and acts as it has no connection to the other parts. The result is obvious, miscommunications, repetitions, delays, and waste of resources. ISO 9001 emphasises on process approach and states that organisations are a combination of different related processes. In fact, each process is an input for the other process, and cannot act independently. This kind of thinking helps to achieve efficiency in the overall level of organisation. Leadership is far more than managing, planning or analysing day-to-day work processes. Leadership is about building a culture in your organisation that inspires quality. A powerful leadership shapes the strategic direction and objectives of the organisation and motivates people to move in that direction. Businesses are trying to satisfy their customers; there is no argument on that point, however, not all businesses know their customers as good as they should. They spend a lot of time and resources to attract new customers but fail to retain those customers. To avoid that, organisations should maintain their customer interest by knowing what exactly they are looking for and how their product or service can provide them that. Building channels to conduct real connection with customers and get instant feedback is one way to build and retain relationship with customers. This principle is all about the importance of the people working in organisations. It is necessary to realise that hiring employees and assigning them some tasks isn’t enough for success. Employees should be trained, empowered, and treated with respect. In addition, all the values and objectives of the organisation should be communicated and shared with them. This perspective makes the organisation ready for QMS implementation by encouraging employees to be a part of it and see QMS as their responsibility. 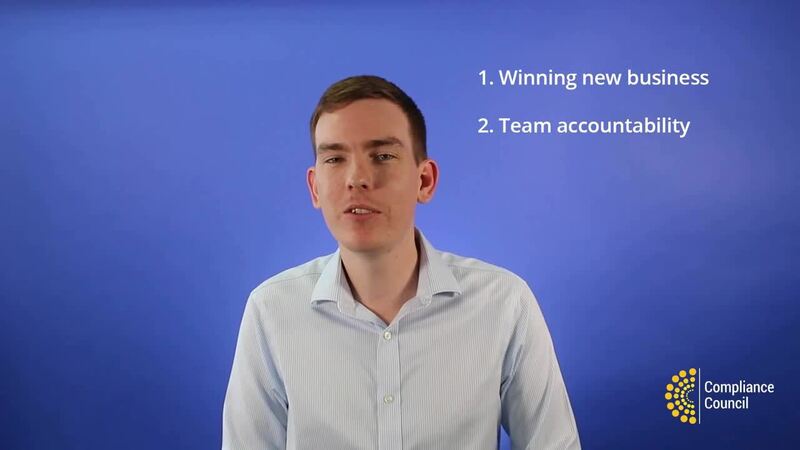 Some organisations start strong and build themselves a good position in the market, but when competitions arise, or changes happen, they begin to fall behind and lose their initial position. Attention to constant improvement is the factor they miss. In fact, if an organisation wants to maintain a certain performance level and survive through all the new challenges and obstacles, it should continuously improve its processes. People working in an organisation make so many decisions every day and hope to achieve their desired results. They are more likely to see those results if decisions are made based on data analysis and evaluation. Today, with the help of technology, more data is available to back up every decision and to make organisations capable of controlling risks and evaluating the results. No matter how small a business is, it’s still functioning in a network of different parties, such as suppliers, customers, and employees. Each of these parties can influence the end-result positively or negatively and bring risks and opportunities to the business. Knowing all the interested parties involved in a business and the relationship they have with the business outcomes is critical. To implement QMS in your organisation, you need to fulfill the requirements of ISO 9001:2015, and/so having a good knowledge of these requirements is necessary. The structure of ISO 9001:2015 has been subject to some major changes, but as always, requirements are generic enough to apply to all organisations with any type or size. This clause states the intent of ISO 9001, which is a quality management system that improves customer satisfaction. This clause introduces ISO 9001:2015 as the reference. This clause refers to the list of definitions in ISO 9001:2015. This clause is about determining what factors influence the products and services of an organisation and its QMS process. The concept of interested parties is new in this clause and refers to all parties who can influence the goals of the organisation. These parties are more than just direct customers; they could be stakeholders, competitors, suppliers, employees, and unions just to name a few. Assuming that all the issues of organisation and requirements of related parties in clause 4 have been determined, now it’s time to plan actions to address any possible risks or opportunities. This way, deviations to QMS and opportunities for improvement will be identified. Planned actions should be evaluated to ensure intended results will be achieved. Internal and external resources should be available. People need to have enough information and knowledge to do their assigned responsibilities. Organisations should be able to learn from their previous experiences and prevent unwilling outcomes from happening again. How to get certified to ISO 9001:2015? 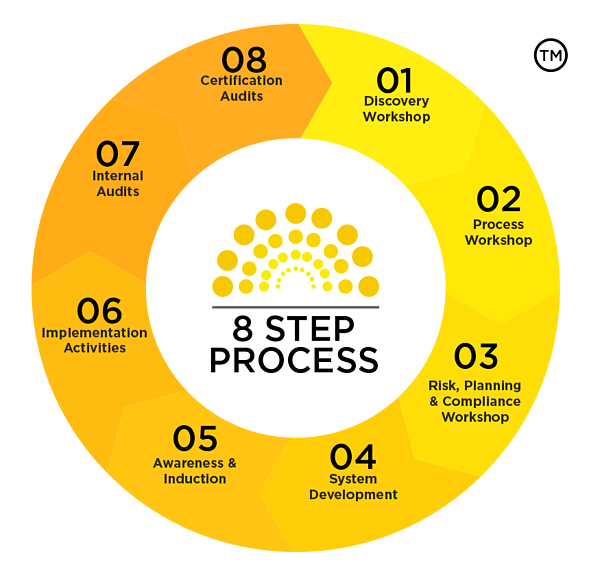 When you know that certification to ISO 9001:2015 is what your organisation needs to achieve quality and customer satisfaction or to meet regulatory requirements, there are 8 steps you need to take. Here at Compliance Council, we specialise in assisting organisations with developing and implementing management systems which put your business on the path to becoming certified. At this point, if there are no major nonconformities, your certification can be issued; otherwise, you will be given time to correct existing nonconformities before the next visit of the audit and only after removing all the major nonconformities you will be eligible for ISO 9001 certification. Typically, the certification body will do yearly surveillance of your management system for the first three years after your certification is issued. This way, you will be sure that everything is working the way that you wanted and your QMS still meets the ISO 9001 requirements.